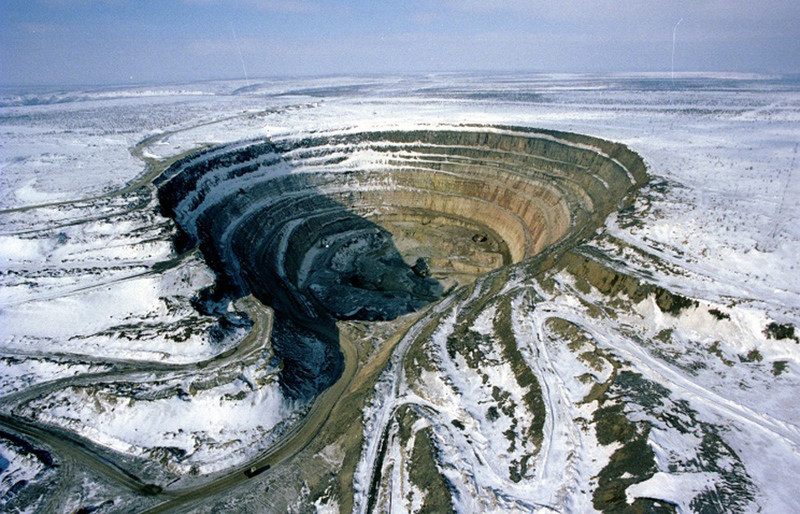 Alrosa's Jubilee pipe in northeast Russia. Russia’s Alrosa (MCX:ALRS), the world's top diamond producer by output, said Tuesday it found a 65.75-carat precious rock at the Jubilee kimberlite pipe of its Aikhalsky Mining unit in Yakutia, northeast Russia. Alrosa’s Jubilee pipe is famous for its large finds. A few diamonds from 50 to 138 carats were recovered from the deposit in the past two years, including a 76.07-carat diamond, which was named in honour of 70 Years of the Soviet Union’s Victory in the Great Patriotic War of 1941-1945 against Nazi Germany.